Our continued success is a kākou effort. The time and talent given by our volunteers is priceless, and we are grateful to have their support. Please complete the form below and Kamehameha Schools will contact you when volunteer opportunities arise. Are you a Kamehameha Schools graduate? 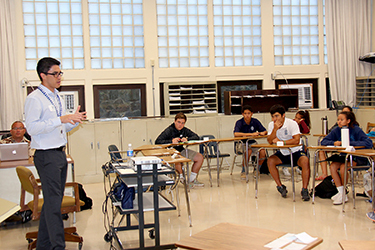 Launa ‘Ike, or to share knowledge, is a partnership between the Alumni Relations Office and the Kapālama High School Counseling Department that brings alumni back to campus to share their knowledge and experience with high school haumāna as they prepare for life beyond Kamehameha Schools. 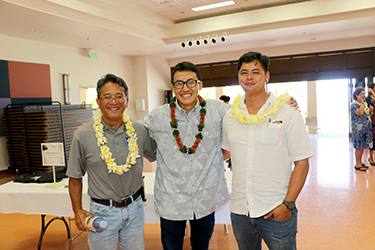 Kamehameha Schools is seeking more businesses, non-profits and other organizations willing to give students real-life work experience. 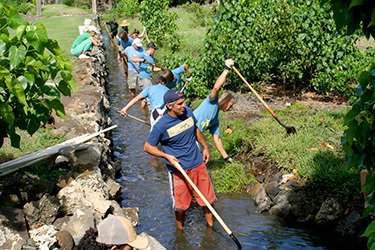 Kamehameha Schools and its collaborators are always in need of kōkua for various levels of support to steward our ‘āina.